Anyone else dreading the coming of winter? Before we know it, we’ll wake up to frost on our cars, and not too long after, Pittsburgh will be covered in a blanket of snow. That thought is making us shiver already! Unfortunately, there’s no avoiding it. Soon, winter will be here. At Franklin West, it’s important to us that our residents are well prepared. We put together a list of reminders and a checklist of things you can do to keep your apartment warm and cozy in the months ahead! ✔️Call Franklin West maintenance at the first sign that something seems “not right” in your apartment or the building’s common areas. Although this is true at any time of the year, the winter poses many more challenges and potential for emergency situations. We take pride in our experienced maintenance staff to professionally serve our residents. Maintenance requests should be directed to the office during regular service hours of 8:00 a.m. to 5:00 p.m. Monday through Friday. We know, however, that maintenance issues don’t conveniently arise during regular business hours. For weekend and evening emergencies, calling our answering service at 412-661-1151 is the way to go. Be as specific as possible so that the answering service can contact the appropriate person to help you as soon as is possible. Anything from clogged drains, no hot water, no heat, frozen pipes to an overflowing toilet or water leaking from your ceiling are all considered emergencies. ✔️Your thermostat setting should be set on “auto” and the desired temperature. We recommend using the “auto” setting because it switches automatically, causing the fan to cycle on and off as a function of heat or cool demand by the thermostat. Please note, the “on” setting of the thermostat fan switch simply causes the fan to run continuously whether a heat or cool demand is present or not. ✔️Franklin West is replacing your furnace filters! When a furnace filter gets clogged with dust, dander, and other particles, your furnace is forced to work harder. Regularly changing a furnace filter will ensure your furnace runs properly, which is really important during winter time. No need to worry though. Our staff will take care of it for you (as you are aware, we are in the process of changing all furnace filters this fall)! ✔️Keep your “stuff” away from HVAC units, hot water tanks, etc.. Please do not use mechanical rooms — where your HVAC unit and/or hot water tank may be located, depending on your particular apartment — as an overflow storage closet. Not only can such clutter prevent these mechanicals from working efficiently and properly, blocking these systems can this be very dangerous. Also, our maintenance staff is not able to provide proper service if they do not have sufficient access. Keeping these areas clear is as much a safety issue as a maintenance one. ✔️Don’t put anything directly up against baseboard radiators. Baseboard heaters need space to allow the air to flow properly. This way it enables the heating system to work most efficiently. So when placing furniture in front of baseboard heaters, just try to leave a 6-inch space in between. ✔️Don’t put anything directly up against electric heaters. ✔️Do not set your thermostat for less than 58 degrees! This reminder is very important! Keeping your thermostat at 58 degrees or higher will prevent your pipes and, if applicable to your apartment, your sprinkler heads, from freezing in the winter. Never, ever, turn off your heat! A frozen pipe or sprinkler head that bursts can lead to a whole mountain of mess … not only in your apartment but in all apartments below and around you. ✔️Do not turn off your heat! … EVER! ✔️Let us know if you are going to be away! We get that winter in Pittsburgh means a much-needed trip south. Anything to get away from the cold. Just make sure you keep the heat running in your apartment while on vacation. If you do plan on being away during the winter, even for just a few days, let us know! We’ll keep an eye on your apartment and take the necessary steps to keep your pipes from freezing. ✔️Keep a faucet on a slow drip when the temperature drops below 20 degrees When the weather is very cold outside, let warm water drip (so that both cold and hot water are slightly dripping) from the faucet served by exposed pipes. Running water through the pipe – even at a trickle – helps prevent pipes from freezing. ✔️Open kitchen and bathroom cabinet doors to allow warmer air to circulate around the plumbing during those frigid days or nights. ✔️Don’t forget to close your garage door when you back out of the garage!! Often, water pipes run near or through garages … if you have an attached garage in your building or townhouse, never leave your garage door open, as frozen pipes will be the likely result. Tie a string around your finger or put a sticky note on your car’s dashboard if you have to, but please don’t forget to close that garage door! At work and you’re not sure if it’s open or closed? Call us and we’ll check for you! ✔️Call us immediately if you think your pipes might be frozen (i.e., you turn on a faucet and water doesn’t come out or comes out only at a trickle — this is a sign that you likely have frozen pipes). ✔️If you see a hallway or exterior light has burned out at your building, please let us know! ✔️Test smoke alarms and carbon monoxide detectors. Usually, all you need to do is change the batteries. Though if you feel the detector isn’t functioning properly, don’t hesitate to reach out. Keep in mind, while smoke detector(s) are in ALL apartments and townhouses, CO detectors are only in apartments and/or buildings that have either gas heat and/or appliances or interior garages. ✔️Turn on your ceiling fan to the winter setting and use it, even in the winter. Ironic, right? Heat rises. By switching the fan to spin clockwise this will pull the warm air back down into your apartment. If you cannot reach your fan to do this safely, please call our office and our maintenance staff will do this for you. Insulated or heavy curtains can reduce heating costs. Purchasing curtains that fall to the floor will maximize the effectiveness. ✔️Make sure your windows are completely closed. The slightest opening can cause a drafty apartment during the cold temperatures! If you live in an apartment that has a wood-burning fireplace, be sure to close your damper when it is not in use. Not sure whether the fireplace in your apartment works or is just decorative? Not experienced with the proper care and use of your wood-burning fireplace? Please call us and our maintenance staff would be happy to give you a primer before you try to use it for the first time! Not sure how to turn on or use your apartment’s GAS fireplace? Please call us! That wraps up our list of things to do to prepare for the winter weather! Remember, if there’s anything our staff can help you with, don’t hesitate to call! Want to expand your love for a good brew? Are you new to the Burgh and looking for something to do? Beers of the Burgh is returning. This year, the best fest is happening at Hunt Armory in Shadyside! Whether you’re a beer connoisseur or someone who’s up for a good time, Beers of the Burgh never disappoints. 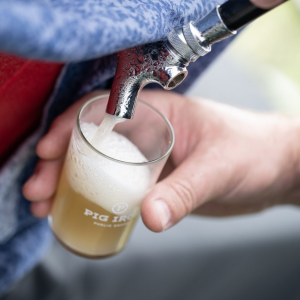 This event will feature more than 30 diverse breweries, all local to Western Pennsylvania, including Grist House Craft Brewery, Hitchhiker Brewing, East End Brewing Company, Eleventh Hour Brewing, and a ton more. See the full list on the official site. General admission costs $45 for Beers of the Burgh with the doors opening at 5 pm. The three-hour event offers a keepsake tasting glass, live music, and entertainment. But maybe you and your friends are the kinds of people who love an exclusive pass. Early admission is starting at $59 per person and you get access to all the tasty brews an hour before general admission. That sounds pretty good to us! Safety is a top priority during Beers of the Burgh. After 3 or 4 hours of drinking, no one should even think about driving home. So for all those designated drivers out there, your ticket is only $20. This awesome ‘Burgh event is sponsored through Variety. This charity’s mission is to help children with disabilities live a full life! All proceeds will benefit Variety and their mission. We can’t forget to mention that Beers of the Burgh also strives to help keep Pittsburgh Green! The Beers of the Burgh team pledges to keep the event sustainable and environmentally friendly by reducing the events carbon footprint. Beers of the Burgh has partnered with Pennsylvania Resources Council and Zero Fossil Energy Outfitters. So what’s better than enjoying an evening of good people and delicious brews? We couldn’t think of anything else. Get your ticket here and we’ll see you at Hunt Armory on Saturday, November 3rd! Both photos used in this blog were originally published on Beers of the Burgh’s Facebook page. October is chalk full of awesome things to do in Shadyside! From fitness to local parties, and, of course, all things Halloween themed. We’re making sure you have all the dates and times you need to know about. Does the thought of improv scare you? Steel City Improv Theater doesn’t want you to be. In fact, they host mixers so you can meet the teachers and people who’ve done it before. It’s the ultimate baby step. It’s absolutely free and begins at 9:30 pm! Just remember, if Michael Scott can do it, so can you. Click here for more details! Supporting the Boys and Girls club, the Run Shadyside 5k is this weekend! 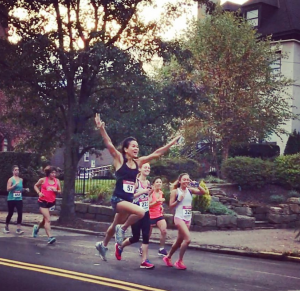 The quiet streets of Shadyside will turn into a cheering squad as runners take their mark. The race begins at 8 am on the intersection of Walnut and Ivy street. Register before it’s too late! Click here for details. photo cred: @latebloominglotus via Instagram! In case you’re new to the area RADical day events are the coolest. This Saturday the Frick Pittsburgh has free family activities. That’s right completely free. Activities include getting creative with paint, entertaining outdoor games, and the History Mystery game! Plus, you and your family will be able to tour the Clayton Mansion at your own pace. This event is definitely one you won’t want to miss! Click here for details and for more events happening this month. Are you a Mac Miller fan? Amazing Yoga is hosting a special one hour class to honor the late rapper. All of the proceeds from this class will go to the Make a Wish Foundation of Pittsburgh! Sean Conley will begin the class at 6 pm at the Shadyside location. Make sure you sign up. We can’t think of anything better than a little local shopping. 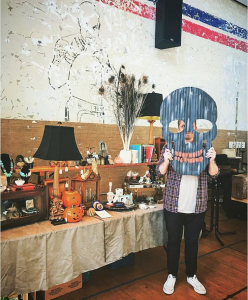 The Made and Found Fall Market is back with over 25 handmade, vintage vendors from around our region. This fun event begins at 10 am. But make sure you make all your purchases before it closes up at 4 pm! Click here for the list of vendors. If you believe in celebrating your pets, this is an event for you! Humane Animal Rescue, Journey’s of Life, Petagogy, and Think Shadyside are hosting the annual Celebration and Blessing of Animals. Here your beloved pets can receive interfaith blessings, enjoy many vendors, and even get animal psychic readings. This event will take place at Journey of Life on Bellefonte Street from 11 am to 4 pm. Visit their Facebook page for more details. Love to paint? Paint night is coming to the Hyatt House on Baum Boulevard. Make it a friends night out or a wonderful date night! Starting at 6 pm, you’ll be able to grab a drink and put your creative skills to the test. Get the details you need here. It’s time for the more spooktacular events. First up is Boo-seum Super Science Saturday at the Carnegie Museum of Natural History! From 12 pm to 4 pm, enjoy Super Science events with friends and family with museum admission. Experience live animals up close and participate in Halloween activities. Kids will also be able to go trick or treating throughout the museum so make sure they’re dressed up! Get the details here. Now, The Carnegie Museum can’t let History have all the fun. Carnegie Museum of Art is hosting a Ghostly Gallery on Wednesday. The three-hour event starts at 7 pm. Walk through the haunted halls of CMOA, take in the beautiful artwork, and of course, there are snacks involved. You can’t show up to a party without your costume, but there are a few restrictions for everyone’s safety. CMOA is also kindly asking for donations to enter, which will benefit the museum. Find out what you need to know. For some family-friendly Halloween fun, Phipps Conservatory is the place to be. Come out to the Conservatory, in a costume of course, for Halloween activities like pumpkin carving and kid-friendly entertainment. Click here for more details. During October, spooky things go bump in the night. The Frick hosts a special Halloween themed event for kids between the ages of 3 and 9. Starting at 6:30 families will be able to learn about nocturnal animals, enjoy a campfire, carve pumpkins, and go on a night walk! Before you head home though, stick around for the musical performance! Get tickets here. Next Pittsburgh calls Kelly Strayhorn Theater’s 10th Annual Halloween Mayhem, “a Halloween event that fits the whole family.” From noon to 3 pm this East Liberty tradition involves spooky activities, hands-on crafts, and youth-led performances. Get your tickets here! 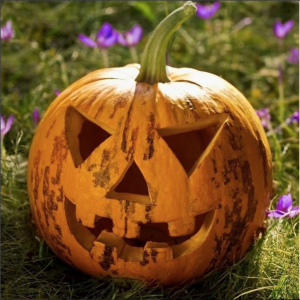 To finish this list of October events, we have to mention Trick or Treating day! Pittsburgh neighborhoods can run amok from 5:30 to 7:30 pm on Halloween Day.